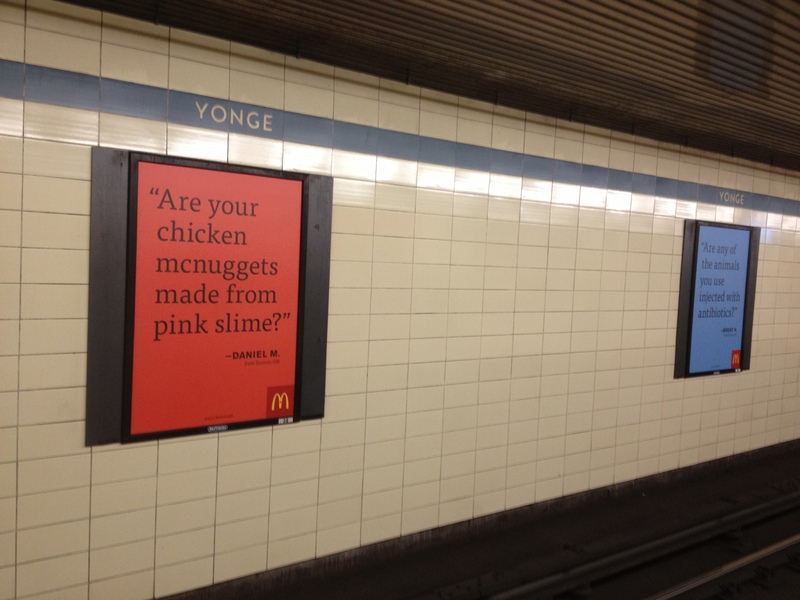 We recently reported that McDonald’s Canada has launched an ad campaign where they allow Canadians to use Twitter or Facebook to ask the company questions about McDonald’s on a web site. To say they blanketed the heavily traveled Yonge & Bloor subway station in Toronto with these ads would be an understatement. In fact, McDonald’s now has a “Frequently Asked Questions” page about asking questions! Oh dear, is it really someone’s job to answer these? And yes, McDonald’s that is our question!